The Last Days of the Marvel Universe! The skies go dark and the world begins to fracture. Secret Wars is coming, and with it the destruction of the Marvel Universe as we know it. 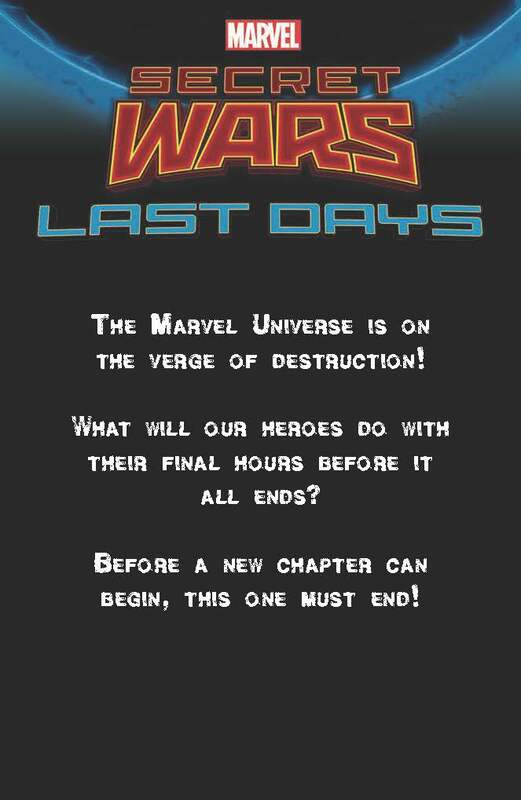 Today, Marvel is proud to announce LAST DAYS, the first of three different types of series taking place during the upcoming, highly anticipated Secret Wars!